"They got a message from the action man: I'm happy, hope you're happy too..."
I know it sounds like a David Bowie song, but it describes my recent itinerary. The action man's been on the road for 8 days now, trying to keep things straight. Last Monday, Athens OH; This Monday Athens GA. 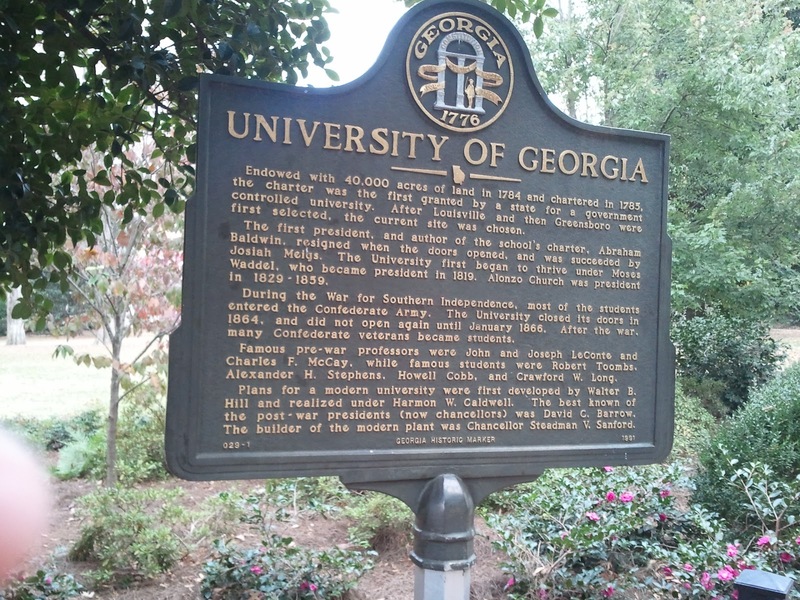 It's a little anticlimactic to be here at the University of Georgia without covering a football team that is now, actively, involved in a for real national championship chase. 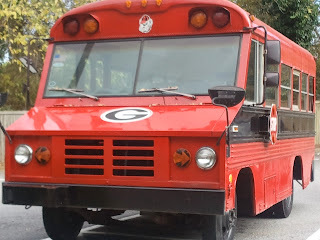 So even though the Georgia bandwagon is full I saw the actual empty vehicle in my hotel parking lot. It doesn't mean there isn't some drama. The first basketball broadcast of the season almost always comes with unknowns, headaches, and stress. You just have to do what's in front of you. November is the craziest month of the year with football and basketball crossover. The first order of business: Have a good breakfast. 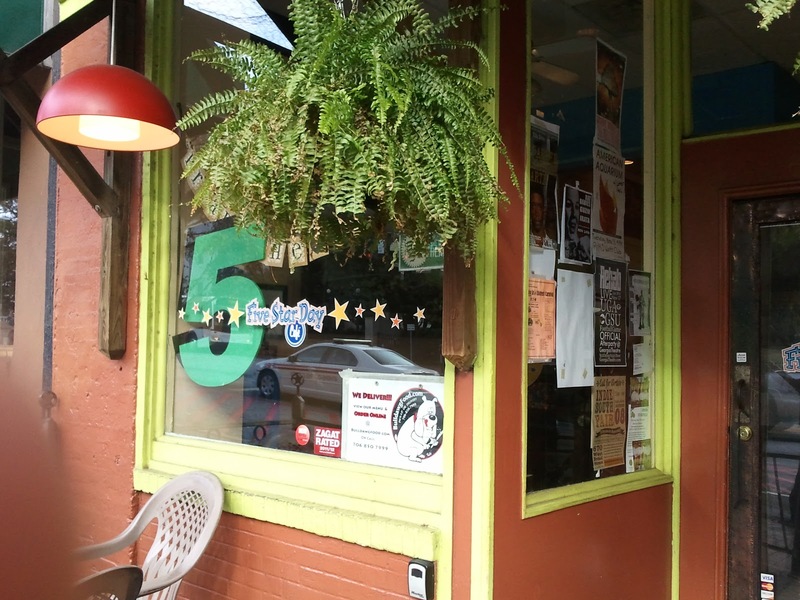 The Five Star Day Cafe is one of the best in the country. Backtime recommends the Veggie Benedict, a twist on the traditional breakfast dish, subbing out the Canadian bacon and Hollandaise for fried green tomatoes and country gravy. Only in Athens...Georgia.